With the release of Windows Vista around the corner, I started wondering if my laptop will even run Vista. Thankfully Microsoft provides a utility to examine your system and let you know if you need to upgrade anything. 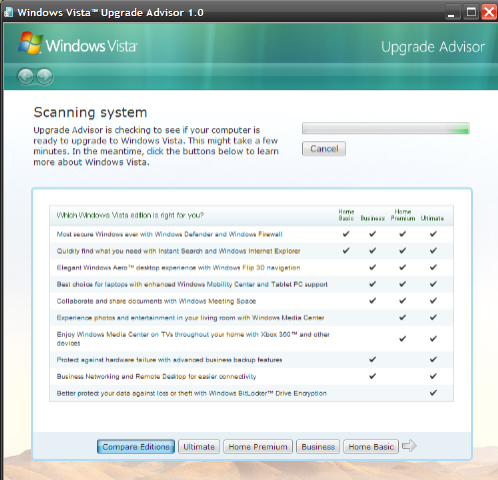 You can download the Windows Vista Upgrade Advisor here. Once you launch the application, click the Start Scan button. Oh well. I plan to get a new desktop PC in the next few months anyway, and by that time maybe it’ll be bundled with Vista.